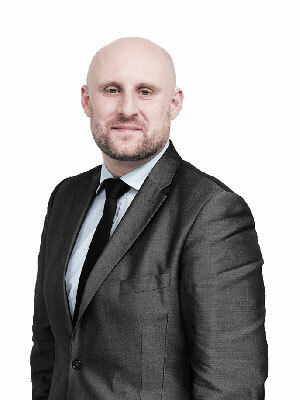 Michał Zdyb - tax advisor with ten years of professional experience acquired, among others in consulting companies with the so-called The Big Four, in dedicated teams providing consultancy services, including for the medical and educational industry. He participated in many projects, which included implementation of tax-effective structures for business operations, restructuring of activities in terms of tax optimization and tax optimization of distribution and promotional processes. He is the author of an innovative solution enabling VAT recovery by housing co-operatives. He also has extensive experience in tax consulting for entities from the health care sector and the education industry. His area of special interest is international tax law. Michał is the author of over one hundred tax publications in the professional press (Dziennik Gazeta Prawna, Rzeczpospolita, Przegląd Podatkowy, Prawo i Podatki), including two books published by the Difin publishing house: International Tax Law and Branches and Representatives of Foreign Entities in Poland. Michał is an experienced trainer in the field of tax law (he has conducted over 50 tax training courses) and an academic lecturer (including Warsaw School of Economics). He is fluent in English. A graduate of the Faculty of Law and Administration at the University of Lodz. Currently, she is preparing her doctoral thesis on the phenomenon of acquiring contractual benefits - treaty shopping.